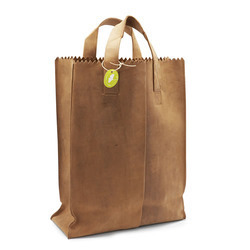 We offer Paper Bag with Woven Fabric that is commended for its good tear strength and durability. All our Paper Bags with Woven Fabric are made as per international quality and food safety standards. Our bags are custom-made according to client specified size, gusset option, color options. Rice and various other products. 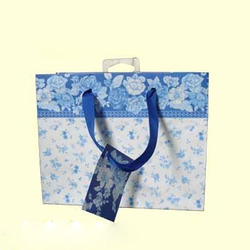 We are the leading manufacturers and exporter of Paper Bag With Liner and our product is made of good quality. These are available in several colors and in many prints. We offer them in numerous sizes and capacities with or without liners. These are widely used as packaging for industrial and commercial use. It is made of best quality paper and most importantly the bag is lined with good quality material for extra strength and durability.